When the first supertanker laden with crude oil left the Gulf Coast of the United States for Asia on February 18, 2018, it caused a media frenzy. Hailed as the beginning of a new oil trading era, the 2 million-barrel cargo set reporters to speculating that it would ignite a war for Asian market share between shale producers and conventional exporters, especially from the Middle East. 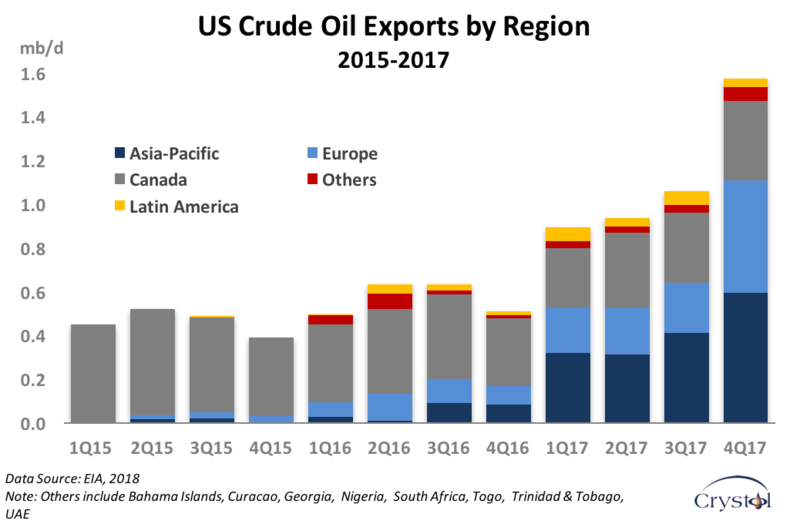 Since the lifting of a 40-year export ban in December 2015, thanks to the shale boom, U.S. oil has been sold to 33 countries. Asia is taking an increasing share of those sales. This trend is likely to continue, but it does not mean game over for Middle Eastern producers. In fact, of all the oil exporters to Asia, they should probably be the least concerned. Before plunging into analysis, it is important to highlight one essential fact that seems to get overlooked in such discussions: oil is a fungible commodity traded in a global market. Looking at regional market shares is not enough. Saudi Arabia, for instance, may send more oil to the U.S., allowing U.S. producers to divert some of their output to Asia. In our case, looking at the Asian market alone gives an incomplete picture of global oil market dynamics. The key to understanding the competition between U.S. and Middle Eastern oil producers is distinguishing whether one is talking about the next year or two or about the longer term. Short-term analysts usually go overboard with their projections of change, ignoring that the oil markets are so big and their underlying forces so strong that one needs to take a longer view.